Rob has been in demand as a vocal coach since graduating as a singer and singing teacher from the Royal Academy of Music in 1989. He now combines a career as singer/conductor with a busy schedule as vocal coach and adviser. Rob specialises in building and securing vocal strength and flexibility by using techniques that he has developed over many years that will aid with the technical development and vocal security of your voice. Through the experience of having to rebuild his own voice, Rob has the perfect ingredients to advise, guide, coach and teach others who suffer from similar problems (physical change and/or vocal damage), or who are looking to strengthen their own vocal abilities. Rob can rebuild, strengthen and stabilise vocal techniques giving you flexibility and protection for years to come. Rob became the classical vocal coach on Britain's Got Talent (2014) where he first started working with eventual runner-up, Lucy Kay. This relationship flourished and Rob advised, taught and coached Lucy throughout the preparation and recording of her debut album 'Fantasia', released on Sony Classical in September 2014. Rob and Lucy continue to work together. A very special thank you goes to my incredible vocal coach Rob Johnston, who has dedicated his time to nurture and transform my voice in such a short space of time; this album really wouldn't have been the same without his input. As a professional singer himself Rob has worked with an eclectic mix of icons of the music industry, including recording or performing with Elton John, Sting, Jarvis Cocker, Labrinth, Robin Gibb, Mike Oldfield, Dusty Springfield, Il Divo, Susan Boyle, Collabro, Sir John Eliot Gardiner, Kent Nagano, Trevor Pinnock, Richard Hicox, Simon Rattle, Peter Phillips, Bernhard Haitink and Pierre Boulez. 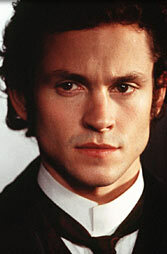 Rob was actor Hugh Dancy's vocal coach for his TV role as Daniel Deronda. For more information, an informal chat or to book a consultation lesson, email Rob at rob@rsvpvoices.com.